November 14th, 2017: To make learning to code easier for students in India, Ed-tech company Eupheus Learning has entered in an exclusive strategic partnership with RoboGarden Inc., an international, award-winning, product development and consulting firm that operates in a wide range of technical sectors in Alberta, Canada. The partnership was announced at DST-CII Technology Summit, which facilitates a comprehensive convergence of key elements and key actors of India’s and Canada’s knowledge economy, on 14th November, 2017 in New Delhi. The summit was graced by a high-level delegation of industry, academic institutes, R&D institutes, Government, thought leaders, policy makers and start-ups from Canada and India led by The Hon’ble Navdeep Bains, Minister of Innovation, Science and Economic Development, Government of Canada; The Hon’ble Marc Garneau, Minister of Transport, Government of Canada; and The Hon’ble François-Philippe Champagne, Minister of International Trade, Government of Canada. RoboGarden is a learn-by-doing platform created using game-style environment that builds the concept of computer programming & coding. RoboGarden Inc. platform serves two main objectives that are critical for the future of children and youth. First is learn to earnTM and second is code to controlTM. It teaches the computer languages that professionals use to author software, smart phone apps and robotic control systems in an interactive, fun way. “We believe that RoboGarden will create bright new opportunities for individuals and entire communities. Coding literacy is an essential driver of success in the digital economy. We have found our right partner in Eupheus Learning, which has the right know-how of education sector and a sizeable reach to thousands of schools and millions of students in India. Just to add, a same passion as us to bring coding literacy to the young generation,” Dr. Mohamed Elhabiby PEng., President of RoboGarden Inc.
“RoboGarden from Alberta, Canada is known for its technology and innovation and has received remarkable response from the schools & students globally and now it is part of the Hour of CodeTM activities. Technology is going to be the force behind lot of great companies that will exist in the future. We have to prepare the students today to build these technologies tomorrow and it can only happen when they are creative, innovative and are logical thinkers. With young population in India & increasing literacy rates, the country holds a vast opportunity for new & innovative products. We are proud that RoboGarden found Eupheus Learning as a partner to bridge this gap and successfully bring its products for Indian sub-continent,” said Rahul Sharma, MD and Counsellor (Commercial) Alberta, Ministry of Economic Development and Trade, High Commission of Canada. The early years of schooling are a great time to introduce coding concepts to students as a way of thinking about the everyday world. Now millions of students from around the country gain the opportunity to become proficient in the coding and build the fundamental skills they need to survive in the upcoming technology based economy. Eupheus in Greek means active seeking of knowledge, a readiness of will to learning. Eupheus Learning aim to offer pedagogically differentiated, technology driven solutions that lead to critical thinking and achievement of higher learning outcomes in the K-12 space. The company’s vision is to bridge the gap between what is taught in-class using Institutional textbook driven solutions and retail at-home learning providers by seamlessly integrating both. The founding team consists of professionals having experience of more than 120 Man-years in starting up and turning around businesses in the Education and Training space. RoboGarden™ is designed to inspire kids to innovate. 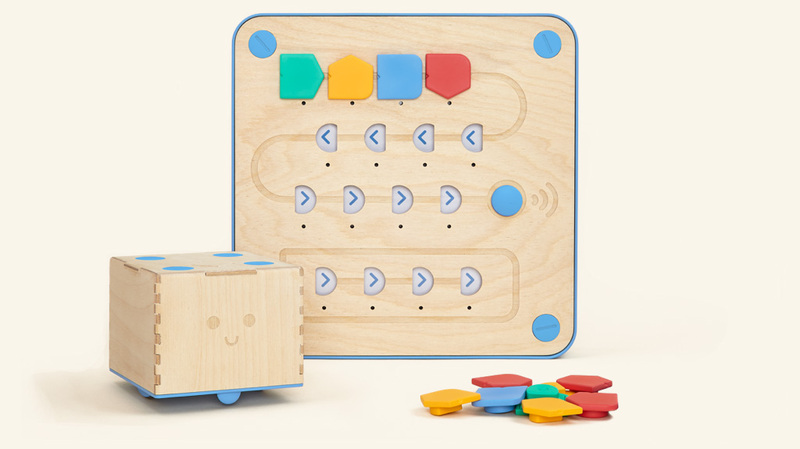 With RoboGarden, children will become familiar with programming terms and styles through well designed algorithmic playing packages designed to improve their creativity and skills – the sky’s the limit! RoboGarden Inc. is a spinoff of METI (Micro Engineering Tech. Inc.), an international, award-winning, product development and consulting firm that operates in a wide range of technical sectors. RoboGarden was born out of METI’s in-house program for training employees in advanced computer languages. RoboGarden Inc’s headquarters are in Calgary, Canada. The DST – CII INDIA – CANADA Technology Summit provides a high profile and wide-ranging platform to industries, institutions and government agencies from India and Canada, to forge knowledge-business partnerships to boost investments and trade. The Summit also facilitates a comprehensive convergence of key elements and key actors of India’s and Canada’s knowledge economy. https://eupheus.in/wp-content/uploads/2017/11/RoboGarden.png 525 525 Eupheus Learning https://eupheus.in/wp-content/uploads/2018/12/Eupheus-Logo-300x72.png Eupheus Learning2017-11-15 14:09:262018-03-27 15:10:09LEARN CODING IN A FUN AND INTERACTIVE MANNER!